From Luke Wroblewski on A List Apart and thanks to Arjun for passing this one along. Wanted to get this on the Bivouac in the Interface Hall of Fame as an outstanding example of reducing percieved complexity and how, through great design, we can help pull users through transactions that can otherwise seem overwhelming. By stripping away the form elements as each section of the form is completed, Apple helps reinforce a sense that users are making progress through the check out process. Along the way, should users leave a required field of information blank, a yellow prompting box appears right next to the field letting them know it is needed to continue. Stratification of information in clear zones serve as landscape "mile markers", letting users intuitively sense where they are in terms of completing their task. 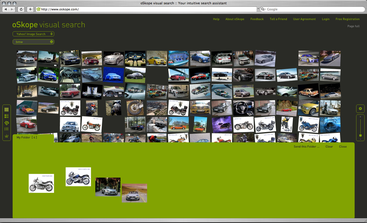 The bivouac has spotted two vehicle websites which pushing the limits of web-based communications. Sites like these are undoubtedly keeping writers, musicians, photographers, digital video compositors, videographers, flash developers and three-dimensional rendering experts busy and working together. Supplemented with informational video clips and theatrical quality soundtracks, content is conveyed in a rich, albeit broadband requisite fashion. One similarity between the two sites is the use of three-dimensional renderings of the featured vehicles. 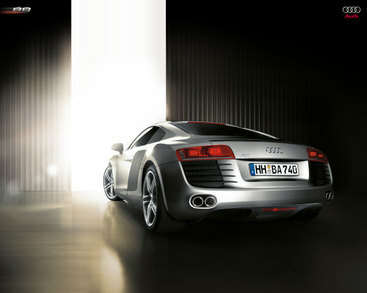 Let's hope the new Audi R8 and BMW X5 are as impressive in the real world as they appear to be online. 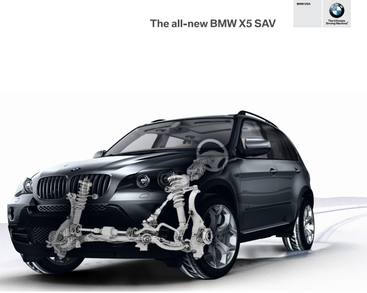 View the 2007 BMW X5 website.